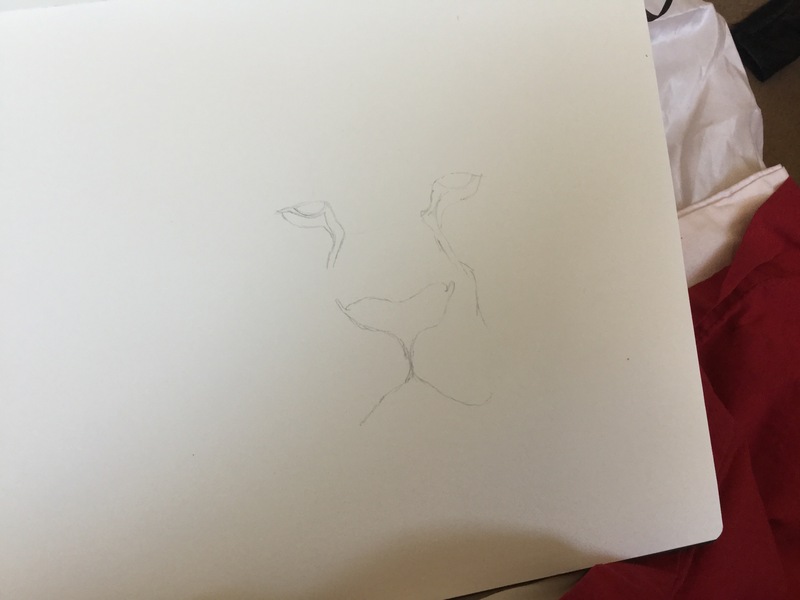 For the next 5 days I will be showing you how I created my latest piece ‘The Lion’. I enjoy seeing how artists come up with there ideas. I hope you enjoy this as much as I enjoyed creating him. I’m drawing in my art journal for this piece. I start out with a very light sketch. I will erase and re-draw anything until I’m totally happy with the overall shape. I look at proportions and ask myself – does he look real? Once I am happy with the basic outline, I start the next step. Creating the look of hair. I start with the sketching in the darkest areas lightly. Gradually darkening each section by going up in the softness of the pencil. I keep adding layers upon layers of shading, using light short strokes to mimic his hair. I continue to look at my reference photo. It’s important that you try not to outline the darker areas, but rather to increase the softness of your graphite pencil so it lays slightly darker hair down with each stroke. Tip: if you press too hard with your pencil, you will destroy your paper. There will always be a dent in your paper, no amount of erasing will be able to fix. The same goes to erasing, if you are too rough, you will take the tooth away from the paper and possibly go right through to the other side. 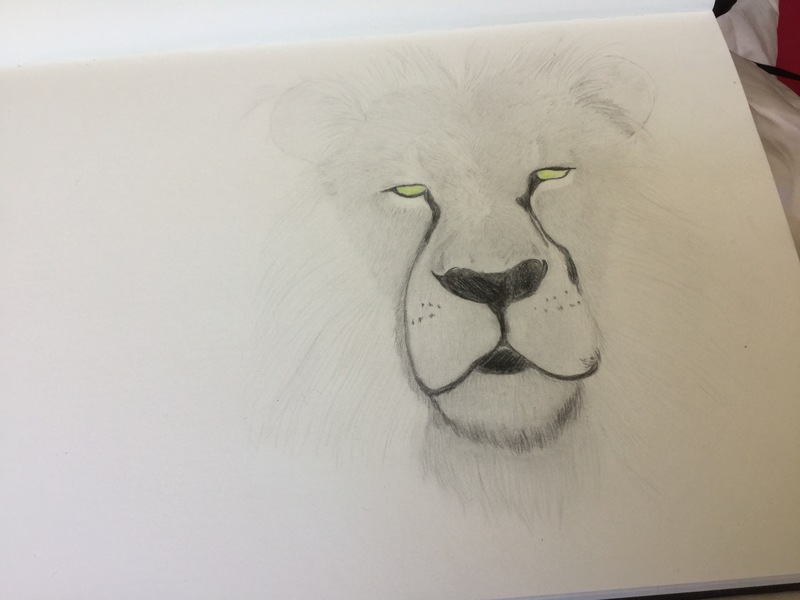 It took me about 3 hours to complete my lion. I’ve made him with green eyes to give an eerie fantasy art feel. 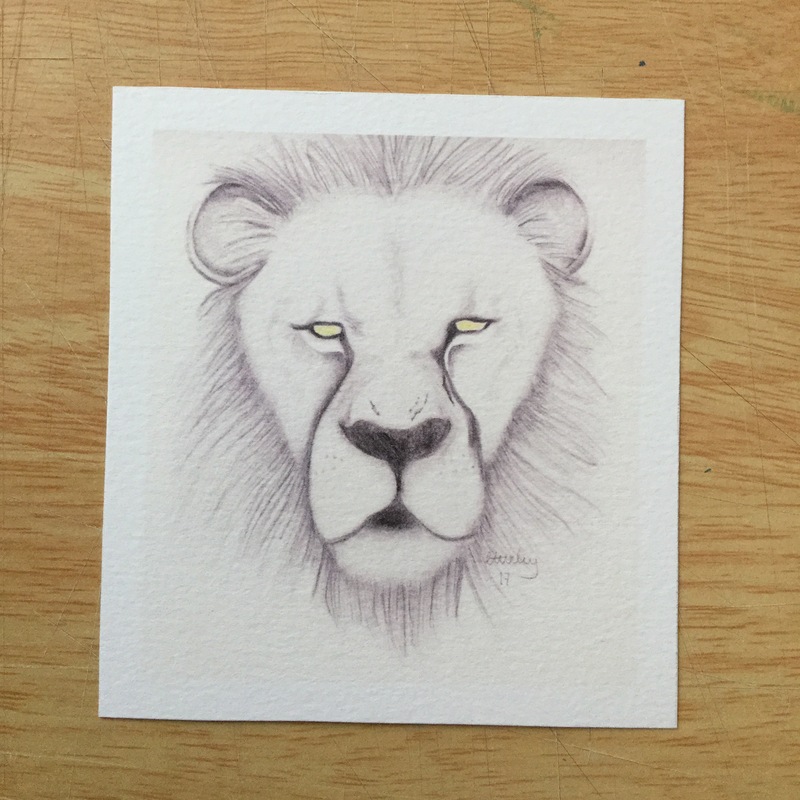 He’s been very popular so far and the prints are just stunning. There are prints available in my Etsy store and on Redbubble as phone cases, bags, and much more. If you would like to keep up-to-date with my art works visit my Instagram and Facebook pages. Sketch from start to finish. When I start my commissioned graphite portraits it’s fairly straight forward to begin with because I don’t have to choose what to draw or what size it’s going to be, the customer does that. So all I have to do is draw what’s in the photo we have agreed on. Which to most sounds easy, but it’s not really. 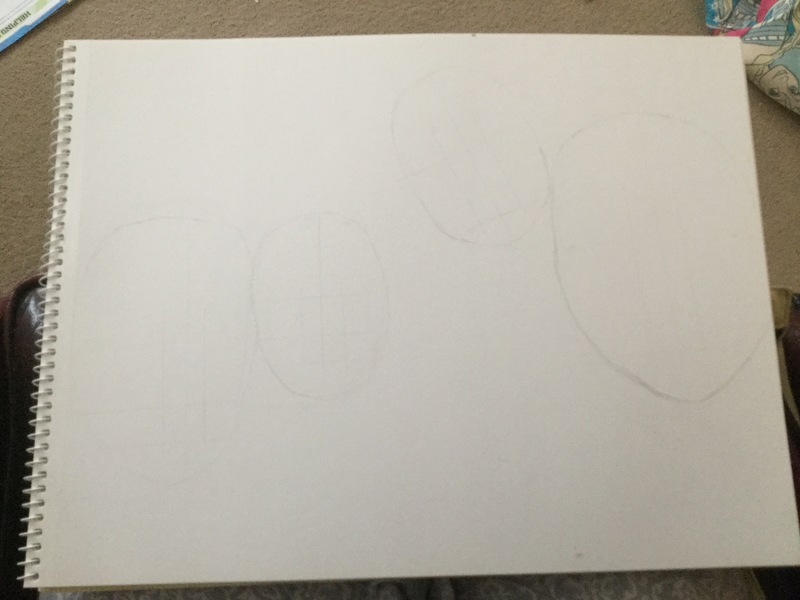 I start by sketching the outline, and general shape of everyone’s head and body shape is. I look closely at the size and position of each face. Then slowly I fill in the facial features of each person. I will make adjustments to face shape as I’m doing this. Then I continue to add shading and value to the piece until I’m finished. I try not to look at the picture as a whole but break it up into shapes and shading. Sometimes I will have to change the pictures slightly. For instance, for this one I took the sun glasses off one person. So I had 2 photos to merge together. I run competitions often on my Facebook and Instagram pages so please pop over and have a look. 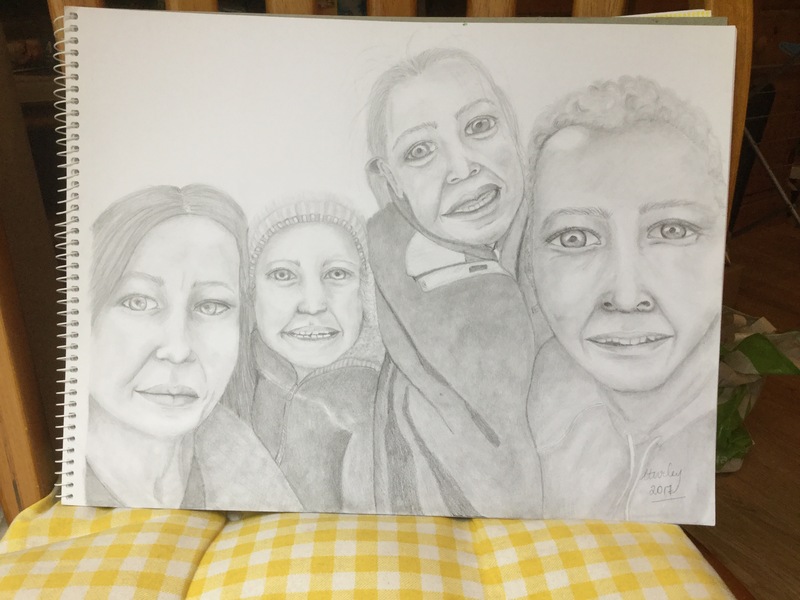 I hope you enjoyed seeing a step by step approach to my Graphite Portraits. 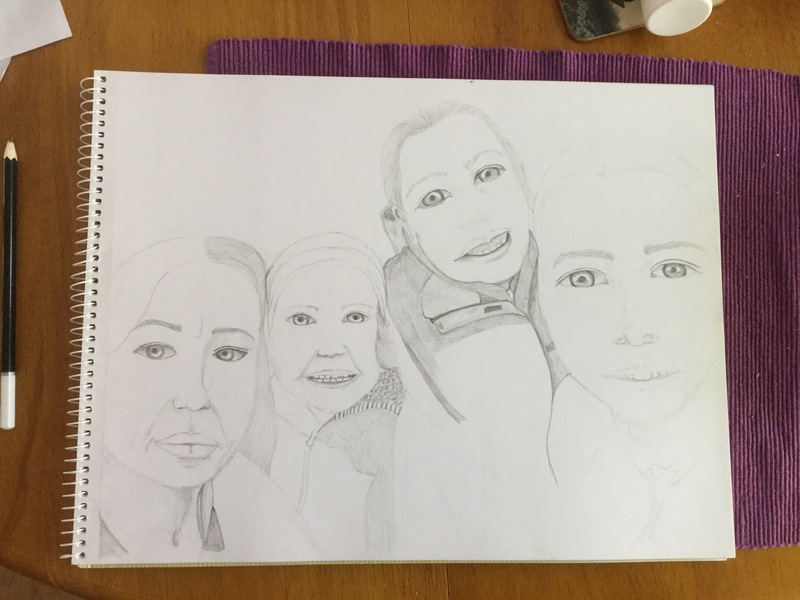 Author chrissyturleyartistPosted on June 17, 2017 June 17, 2017 Categories Artist Blog, Start to finishTags competition, custom, Drawing, Eyes, graphite, graphite drawing, graphite sketch, portraits, sketches, sketchingLeave a comment on Sketch from start to finish.